The Situation Room is a 5,000 square foot complex of rooms in the ground floor of the West Wing, some of which have windows looking out the west side of the building. It is sometimes called "the woodshed." 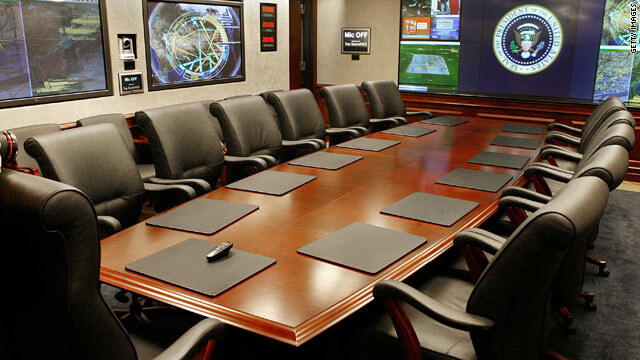 Contrary to popular belief, the Situation Room is not a bunker that is located deep underground. Obama is still e wimp, He gives the order to kill UBL and them afraid to release the photos. Thanks to all involved in bringing justice to all americans, bless you all. I too would like to see footage and photos of the operation that killed him. Also, I think we all can (almost certainly) expect to hear something from the commander next in line to replace him. This is what worries me now...............the ball is in their court now, what comes next? Some photos have been released; if you're referring to a photo of Osama's dead body, wouldn't that make us just as bad as the terrorists who take pictures of dead soldiers?